Ordering Product Samples from a supplier is a key part of the import process. However, there are various types of samples, that each has a unique function. In this article, we explain everything you must know about buying product samples from China: Including factory samples, pre-production samples and batch samples. We also answer many of the most common questions we receive, related to sample development, including how you can protect your Intellectual Property, shipping methods and how much you should expect to pay for samples. A Factory sample is a ‘ready made’ product sample that is not manufactured according to the buyer’s design or customized specifications. It serves as the most basic form of ‘evidence’ of the manufacturer’s production capability. Commonly, factory samples are purchased as part of the vetting process, as they can be obtained from a large number of suppliers rather quickly. However, a factory sample doesn’t demonstrate a supplier’s ability to manufacture a customized product. As such, the factory samples serve as a first introduction, rather than a signal for final selection of a supplier. A Pre-Production Sample is used to verify the manufacturer’s capability to produce a product, according to the buyers specification. It is also part of a learning process, both for the buyer and the manufacturer. Developing new samples is unpredictable, and the fail rate is high. Getting a product design right can take everything from a couple of weeks, to several months. In extreme cases, it can take years. This is part of the process, and not all suppliers will be able to meet your requirements. Hence, you need to have backup suppliers to work with, in case your preferred choice fails to live up to expectations. It is also critical to provide the supplier with clear product specifications, before production starts. Don’t let the supplier fill in the gaps for you (i.e., pick out materials and components), as this can result in them using cheap and substandard materials. The Pre-Production Sample is extremely important. Until you have an approved sample on your desk, you don’t know if the supplier is capable of manufacturing a product according to your requirements. You shall not place an order until you and the supplier has reached this milestone. A Batch sample shall preferably be collected by a third party, to ensure that the supplier doesn’t provide samples that aren’t from the actual batch of products. There are limitations to what manufacturers can achieve when it comes to pre-production samples. 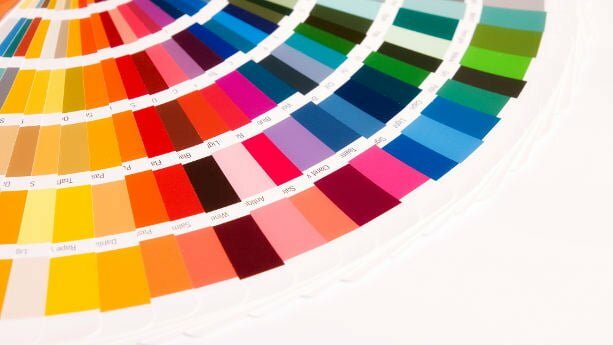 For example, creating a material in a certain pantone color requires a certain volume, and cannot be done on a small material sample. Likewise, sample production is more manual than mass production, which can also result in differences between a pre-production sample and the final product. Similar, technical and economic, limitations also exist when it comes to materials, components and design. It’s important that you are aware of these limitations before you start production. If not, you might end up waiting forever for a level of perfection that no supplier can ever reach, be it for technical or economic reasons. You must share product information, such as logos and design files, with the suppliers before they can make a sample. Many importers are worried that the supplier will steal their designs. Such concerns are grounded in reality. Suppliers in China do have a reputation after all. You may require the supplier to sign an NDA, before you share any product information. Still, such agreements are hard to enforce. At least without professional legal assistance, that is out of reach of most startups and small businesses. And, even if you succeed in enforcing an NDA, you may not be able to secure proper compensation from the supplier. In addition, it’s also possible to circumvent NDAs by passing on the product design to a new company, that is not bound by the contract. The only way to be “safe” is to patent the products design and functions in all major markets, including within China. All trademarks should also be registered, in the USA, EU and China. Then again, this is expensive and time consuming, and not a viable approach for most startups and SMEs. Unfortunately, there are no quick, cheap and simple ways to protect your IP when buying product samples from China, or other countries in Asia for that matter. How much should we expect to pay for a product sample? The cost depends on the type of sample, and whether new tooling (i.e., injection molds) are required to produce its components. When ordering a factory sample, for example, you normally only need to pay for shipping. However, when ordering customized product samples, you may end up paying anything from $10 to tens of thousands of dollars – all depending on the cost of tooling (if any). How can we keep costs down when developing a new sample? Additional tooling is the main cost, when developing new samples. As such, reducing the need for new tooling can help to keep costs down. However, this requires that you choose existing components, rather than customizing parts according to your own design and functional requirements. This approach also requires that the supplier owns such tooling, which is not always the case. While many suppliers tend to showcase a large number of “catalog products” (i.e., on their company website), they are rarely willing to let importers use tooling owned by other buyers. How do I communicate my product specifications prior to buying a product sample? This is the document that the supplier will use, during sample production. As this document will be passed between engineers and subcontractors (i.e., material suppliers), it is crucial that the product specification is extremely clear and simple to understand. Do not leave anything open to interpretation, as this can easily result in misunderstandings. What if a supplier refuse to send a sample? While you cannot expect a supplier to give away or produce samples free of charge, you should always be able to get samples as long as you pay for them. Suppliers that come up with excuses for providing samples normally have something to hide. You shall not consider doing business with such suppliers. What if the manufacturer fails to produce a sample according to our specification? As mentioned, a pre-production sample is made to test the suppliers’ ability to manufacture your product. It is to be expected that many suppliers are unable to comply with your requirements, and deliver a satisfactory pre-production sample. If a supplier keeps failing, after two or three sample revisions, you shall not waste your (or theirs) time. Simply move on when a supplier can’t manufacture a product the way you want it. Can the final (mass produced) product differ from the pre-production sample? Yes. It can go both ways. Making Product samples enables the supplier to invest considerably more time per produced unit, than for a mass produced unit. In addition, the higher pace of mass production can give rise to previously unforeseen quality issues. When placing the very batch of a new product design, you should consider minimizing the order quantity as much as possible. You are also recommended to have the products inspected, prior to shipment. However, that is not limited to the first batch, but all orders. 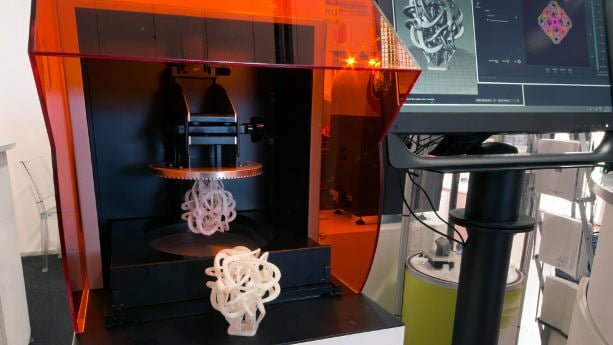 Can we order a 3D printed sample instead? No, a 3D printed sample cannot replace a ‘real’ pre-production prototype. At best, a 3D printed sample can help you designing the product. As mentioned, the purpose of a pre-production sample is to test your suppliers ability to manufacture your product. Should we buy product samples from more than one manufacturer? Yes, letting suppliers ‘compete’ is a crucial strategy – especially in the apparel industry. The fail rate is often as high as 50%. In a worst case scenario, you could end up investing thousands of dollars, and several months, into a supplier that just keeps failing. Instead, you need to have a set of suppliers, which enables you to simply disqualify suppliers that don’t live up to your requirements, while you focus on those that can. This strategy is more costly, as you must pay more than one supplier. How can I get the product sample delivered? Product samples are normally delivered by airmail. Basically, all manufacturers can ship samples via their freight forwarders. However, you can also arrange your own forwarder to collect and ship product samples. In order to save on delivery fees, can we have samples from multiple suppliers send in one package? Yes, this service is often offered by freight forwarders and purchasing agencies. Do we need to pay import duties and other taxes when importing product samples? Yes, but it does depend on the order value. In many markets, there are minimum thresholds, or even exemptions for commercial product samples. If the sample is valued at below the threshold, you do not need to pay import duties or other taxes. However, if the customs value of the sample is above the threshold, you must pay import duties (and possibly other taxes), according to the applicable duty rate. Notice that this can result in significant amounts, as tooling is considered as part of the customs value. Thus, you cannot decide to only declare the value of the product sample, and leaving out the cost of the tooling. The latter can cost several thousands of dollars. When is the right time to order a sample? Don’t start off with buying a lot of samples before you’ve made a bit of price research and confirmed whether or not a supplier is compliant with the required product certification standards in your country. The sample costs add up quite quickly if you order them from several suppliers and it’s a waste of time and money to buy them from suppliers that are not qualified to begin with. How should we store samples? When you receive a sample, mark it with the supplier’s name and the date of its arrival. The sample is your quality reference that shall be stored as long as you stay in business. You might also want to order a few additional samples so you got something to show your own customers. Another mistake you better avoid is to send back your only remaining sample to the supplier as a part of the order confirmation. If you’re left without product samples you’ll have a very hard time to prove non-compliance in case of failed production. I am in process of attempting to set up business, but find getting samples from china to Melbourne Australia the freight cost very high. So I want to know if i do get larger orders and but not container lots, Who or What can be done to reduce cost so can make my potential new company endevour viable. We manage shipping (both sea and air) of small volumes, worldwide. I haven’t noticed earlier that you do Fredrik. For air courier shipping you do it through your established account? For sea shipping you are acting as freight forwarder or leverage your freight forwarding partner? Currently we primarily offer shipping services to clients, and are therefore not advertising it on the website. However, we will introduce shipping – and many other services, for everyone to buy on ChinaImportal.com. Expect that to happen in Q1 or Q2 of 2015. We are not a freight forwarder. We work with an established freight company in Hong Kong. Please I have a watch supplier on alibaba that am currently communicating with. He has agreed to produce the customized sample for me and has even sent the design job which I am ok with. The problem is this; He insists that I pay full sample fee before they can commence production of the customized product sample. Is this a red flag or normal policy in China. By the way, the amount is 25USD. There’s nothing strange with that. Few suppliers would provide free custom samples to new buyers. Too be honest, 25 USD for a customized watch sample is lower than I would have expected. I am Jimmy from China. 25USD for a customized watch? Could you tell me how to contact with this supplier? By the way, prepayments is very normal in foreign trade. For the big volume, deposit is always necessary. 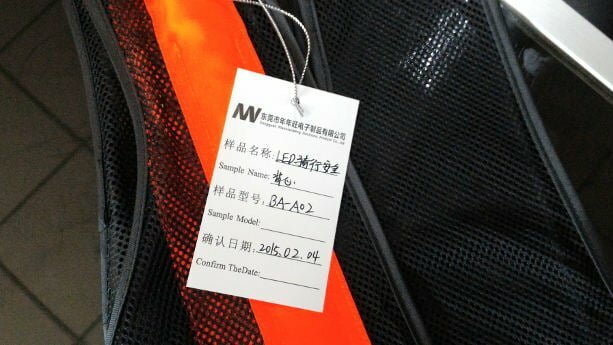 How did you find your specific manufacturer in China? I am also aspiring to do a watch brand on Kickstarter and don’t want to make any mistakes with production. Did your sample come out as expected? I wish to speak to you more indepth regarding this matter. Hope to hear from you soon! Whether that is expensive or not depends entirely on the type of product you’re buying. Is the cost including delivery? Hi Fredrik – thanks for the great post! I am getting ready to reach out to suppliers about ordering plush samples based on specific characters my company created. I am happy to pay sample fees, but I see that many sellers require my company to pay delivery costs of the sample. What are your thoughts on having them send a picture of the sample, and only if it looks close enough to our character pay for them to ship it to me? I’m simply trying to avoid paying for shipping if the sample is way off target. I’d love to hear your thoughts. Yes, buyers are always required to pay the delivery fee, even if the sample itself is “free”. However, it’s a good idea to request a photo before they deliver the sample. We’ve done that too, and often an image is enough to determine whether a sample should go straight back to the workshop. Thanks!! I really appreciate your site and your services. Keep up the good work! 1. When I want to get samples, how do I make sure that I get ODM sample from default factory production run according to specifications mentioned on product’s page? I don’t want to get sample from factory production run where client made customized order because I want to see how sample from their default factory production looks like. Must I emphasize this when contacting manufacturer? 2. When I have samples from different manufacturers and decided on one of samples, must I send it back to supplier I bought from to serve as reference for next small-medium-large order? 1. That’s a very good question. In fact, this is very very hard to verify. But yes, you should emphasize that you allow no subcontracting and that you may send an inspector to the suppliers location – without notice. I also advice you to add “no subcontracting” as a term in the Proforma Invoice. 2. Yes, you should make them sign and stamp reference samples (along with technical documents and photo copies). But make sure you don’t send back the only sample you got! You need to keep samples for future reference, which is especially important in case something would go wrong during production. Without a reference sample, you’ll have a hard time maintaining a case against the supplier. 1. “No subcontracting” in Pro Forma Invoice or in Sales Agreement too? 2. Does that mean I send 2 chosen samples back to them to have them signed and stamped as reference samples? Best would be to order 3 samples initially to have enough as backup reserves before making larger order? 1. Usually it’s only mentioned in the Sales Agreement. The PI basically lists payment terms, items, specifications and quantity. It shall be considered an appendix of the sales agreement, rather than a “standalone” document. 2. That is right, that way you have at least one backup samples. How does Purchase Order differ from Pro Forma Invoice Fredrik? A Purchase Order is issued by the buyer, to the supplier, detailing the items the buyer wish to order. The Proforma Invoice is issued by the supplier. I have no idea why it’s called PI, and not PFI. I am a new salesman of a chinese manufacturer. I also have learned many things via all the conversation. I start to know more about what buyer is thinking and improve our service. I suggest you check out our Buyer’s Guide, as it explains (among many other things) how to find and verify Chinese suppliers. 1. I heard that PO can act as sales agreement at the same time. That means there’s no need in having unnecessary bureaucracy if sales agreement can be outlined in PO? 2. About samples. Have you heard about “Virtual Manufacturing Network”? I read about it on Wikipedia and think it’s a network of collaborating manufacturers which seems to me like there’s a lot of subcontracting. If that’s correct, then it will be hard to know who made samples if ordering from front end supplier. 3. Are you familiar with ICP license that suppliers who own .CN website must have permit in order to operate such website? This license number is usually shown on home page but I have seen when it was not show at all. Do you consider this small thing to worry about? 1. No, the Proforma Invoice (issued based on the PO) is not recognized as a legal document in China. 2. No, I am not familiar with that term, but there is always a lot of subcontracting as the “outer layer” of exporting suppliers are basically assembly factories. 3. No, but whether or not they have such a license is of no particular interest when sourcing suppliers. It is not indicating compliance or reliability in any way. Hey Fredrik, I was talking about Purchase Order in my first question being also used as sales agreement. I wasn’t talking about Proforma invoice. Yes, I understand, but the PO can never act as the Sales Agreement as it is issued by the buyer. The PI, issued if the supplier accepts the buyers PO, is the document that really matters. Yet, in China, it is only an attachment and cannot be used as a Sales Agreement. Also, it is not efficient to do that anyway, as that would force you to renegotiate terms for ever order. It is much better to have one contract, valid for 2 to 5 years, with fixed terms. For each order the supplier only issue a PI, and you don’t need to deal with continuous negotiations. I wanted to include some terms in MOQ of 100 order with new supplier and think that writing contract at this point is not suitable until I get to know supplier good enough to make orders on a constant basis. At this point I want to include some terms in PO that I want supplier to acknowledge and reference in PI. Will referencing PO in PI be enough or I will need to ask supplier to reference specific sections in PO that describe those terms? PI terms are not legally binding in China, which is the opposite to the United States and EU. I would advice you to sign a Sales Agreement at this point, as it will be much harder to negotiate terms while the business relationship is already active. The supplier has no incentive to offer “beneficial” terms later on, as they can already make the assumption that you will rather keep ordering from them, even without a Sales Agreement, rather than spending time and money sourcing new suppliers. I just want to thank you for sharing your knowledge with everyone. Out of the last few months I think I have spent well over 60 hrs reading your site, as well as Dan harris’ and quality inspection org, so thanks again! A question that i have is “what is the best method to actually pay for a sample?” Assuming that you went through all the proper screening procedures, but had some reserve about providing any credit card information or bank account information. What is the most common or safest method to purchase such samples? Pre-paid visa cards? Your expertise in this matter is highly appreciated! I plan to visit Guangzhou and Yiwu for the first time and purchase through agent and have some queries to start with. 1) I need to understand if I could select supplier based on product on display (garments) and order them. 2) Also, does it sounds good to provide original sample to agent for Quality Inspection and keep a photo with myself? 3) How do I ensure that supplier send the photo along with Quality and labeling requirements to their production? 4) How much pricing negotiation could be done with the supplier or many do not provide discounts both in Guangzhou and Yiwu? 5) What should be MOQ? Does each piece with different color and size would be separate MOQ or it is combined together? I am trying to launch a AW2015 collection for my brand and this is gonna be the first collection ever, but i cant seem to find any manufacturer, and I would like factory that are really good at OEM. I am Jimmy from Earnest China, we are professional OEM direct factory for decades. We can make product by using hundreds of import materials, and you might get want you want from us. You could contact me and let’s talk more detailed of your needs. I want to get samples of dishes from China. What is the quickest most cost effective way to get them here? I don’t want to wait 30 days for ocean shipping. The manufacturer quoted me a price 350 usd for express shipping. Is there any other way? Is it possible to load a container either in a FCL or LCL mode with products from different suppliers? To do that I have to deal with a trader or could be directly done with suppliers, buying somehow the space in an specific container and refering thus the specific container to the suppliers? provided that obviously delivery date is the same for all suppliers. Please let me know if otherwise you can handle that so that we can work together. Hello Fredik, I’m heading to China to meet some of the possible manufacturers for my customized bag in a few days time and was wondering how to assess the reliability of the factory when I am there eg. is there some sort of criteria or things to look out for? So I have been in contact with a few suppliers on Alibaba regarding purchasing a few products that are related to a niche market that I want to sell into. After searching through a few suppliers I found one that looks very professional and have been trading on Alibaba for about 8 years. They make the same product that alot of the other suppliers do. The difference is the other suppliers are making the same old looking product over and over again. This supplier is making something that looks pretty pleasing and everyone hat has seen the images say it looks really good and that they would buy one. I sent them an email regarding buying this product, and they told me it is still just in design, and that they dont actively make it. They told me if I wanted to actually have it made that they would require $3400 to cover the material costs and labour costs of producing it. This does not include the cost of the MOQ which they are saying is 500. I am trying to negotiate with them to get a lower MOQ, but they are not budging and are saying it is not worth their while to go lower. My questions is really why would they actively be selling something on Alibaba and then saying it requires $3400 to go in to production, which dosnt include MOQ. To order MOQ + cost would be $5500. They dont look like a scam company and have been trading on Alibaba for 8 years, and they are a gold supplier, and have been site assessed, and I really want to source this product. Does anyone have any advice? Hi. I recently started by business in Canada and ordered samples from china. But the UPS people are charging 500$ freight charges for 13kg weighing sample. Please help me that how can I waive off such heavy amount of freight. Sounds very strange. Are you paying this fee directly to UPS to via the supplier? I’m sorry but we don’t know where you are trying to order the sample. If it’s on Alibaba.com, then you shall contact the supplier and get a quotation for the samples. Thanks again for your range of important vids. I have a question please, I know what best practice is, but im looking for a more practical answer. So I currently have 4 factories ready to air freight, door to door completed samples to Australia. Now I know I should declare the full value right! However if I were too manufacture a larger run of these products, this cost per unit would be considerably less. Do I declare the actual cost or the large production value cost? The samples are purely a small run of 5 different products with 5 samples each or 25 units. They are purely for evaluation purposes, quality control & testing. So they have no value as they are not for resale. In Australia the tax free threshold is anything <$1000AUD. Or a smaller value, based on the fact that if they are damaged in transit, then I would get part of the cost back from insurance? Also what have other people on here done in the past, any comms would be greatly appreciated. The customs value is based on the production cost (not based on the retail price). If some units are damaged, you should be able to deduct that value. I am process of talking to suppliers to design a gift box lined with velvet and I am getting quoted $210 usd to ship it to Australia! Is this too expensive? Does that include the box sample? If yes, then the price looks reasonable.